What is the number one thing we all recommend as parents of kids with disabilities? You need a support network! No one else can understand you as well as another parent of a child with a similar diagnosis as your own. The best thing you can do is find other families in the same boat, others who have traversed this path before you, other families who can hold your hand on this special needs journey – wow, that’s a lot of travel metaphors in one sentence, but you get the picture! I know I am lucky to have a strong and sympathetic support network through my son’s school. Ivan attends Perkins School for the Blind and the other families there are very involved and connected. 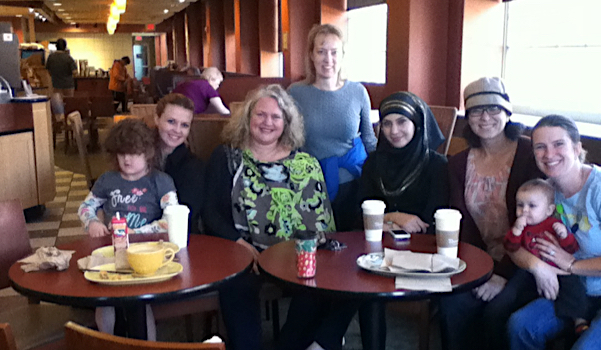 We often meet for lunch or coffee, we text each other, we meet at the school. It’s invaluable. For those of you who aren’t lucky enough to have other families physically nearby, I know you benefit from online support groups and Facebook groups. I have so many close friends who I’ve never even met, but who I know will always be there to help with an encouraging word or supportive ideas when I need them. It’s all so important. But this summer I learned that I also need something else: I need friends who ARE NOT part of the special needs community. Sometimes we need a break from our lives and ourselves. I know it’s much easier to say than to do, but just think about it for a second. 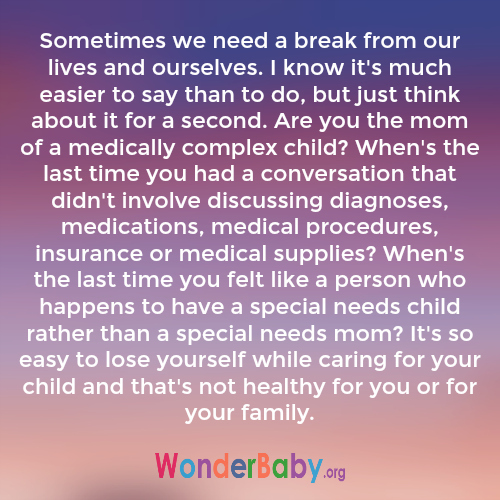 Are you the mom of a medically complex child? When’s the last time you had a conversation that didn’t involve discussing diagnoses, medications, medical procedures, insurance or medical supplies? 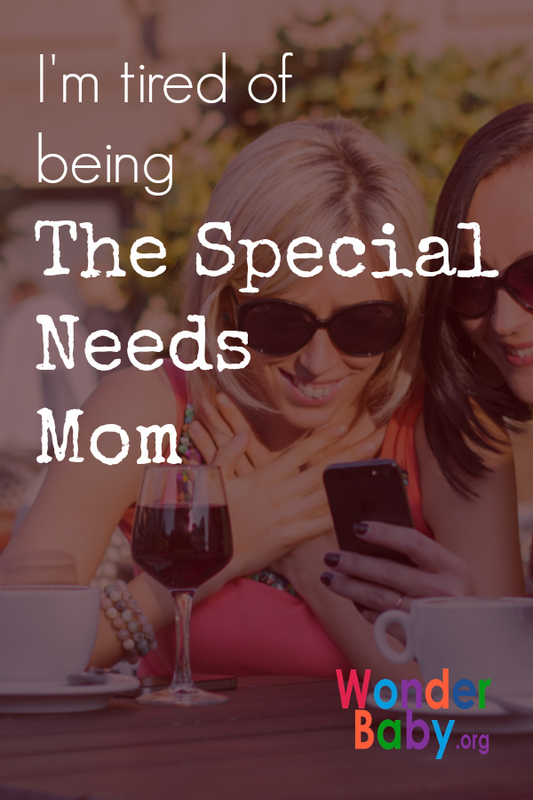 When’s the last time you felt like a person who happens to have a special needs child rather than a special needs mom? It’s so easy to lose yourself while caring for your child and that’s not healthy for you or for your family. You have interests—I know you do! Maybe you forgot about them in the last few years while caring for your child, but didn’t you used to love to read books? Or go to the movies? Or sew? Or play video games? What was your thing? What is your thing now? If you just stared blankly at the screen because you couldn’t think of something you like to do for yourself, then you need to fix this! Find something you can do for you and, more importantly, find other people to do it with! You’ve worked hard to create your support network of special needs families, but what about finding other people who are interested in the same things you are? Your special needs network is very important, but it’s also important to find a place where you can be you… not parent of a child with special needs. Just you. A good place to start might be your local church or library. Our library offers book clubs, knitting clubs and even tai chi and yoga groups. And guess what? Not all of the attendees are parents of kids with disabilities! They may actually have conversations about other things! How did I discover this amazing phenomena? Through a little game I’ve become obsessed with: Pokémon Go! I’ve been playing for over a year, but it’s been a completely one-person game. 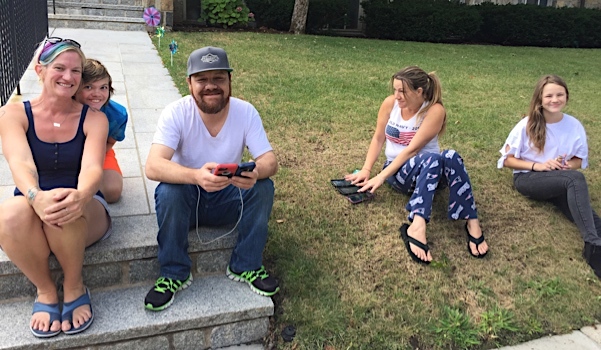 Whenever I’d go for a walk with Ivan, I’d load the game on my phone and hunt for Pokémon in the “augmented reality” Niantic has created. It was fun, but certainly not social in any way. 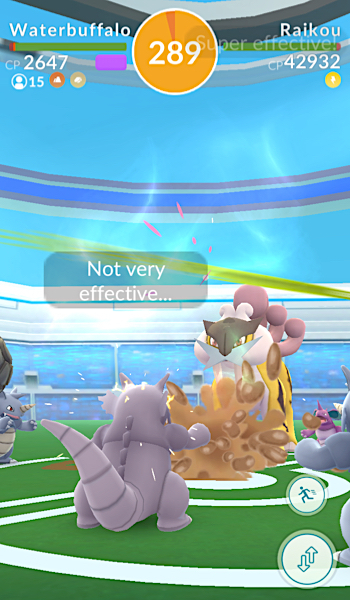 This summer the game developers introduced legendary Pokémon and raid battles, which are only possible when five, six or sometimes even ten or twelve people get together to catch a Pokémon at the same time. In person! So you need to actually talk to real people in order to play! Not to mention organize ahead of time so you all show up at the same spot at the same time. I’ve found myself talking online and in person with people who are just as obsessed with this game as I am. We talk about the best counters against Mewtwo, Lugia’s catch rate, or IVs and CPs. Maybe that sounds silly to you, but I want you to notice something… when I hang out with these people I’m not talking about anti-epileptic drugs, EEGs or insurance prior authorizations. It’s been incredibly freeing to have something just for me. So, no, my special needs friends aren’t getting rid of me that easily! I still need them for the support and understanding they give me. I wouldn’t be able to be the best mom for Ivan without them! But I also now have an outlet just for me with people I can talk to about something else entirely, and that’s become more important to me than I could have ever imagined. Grandparenting Book Giveaway!Do you have the courage to redefine disability?